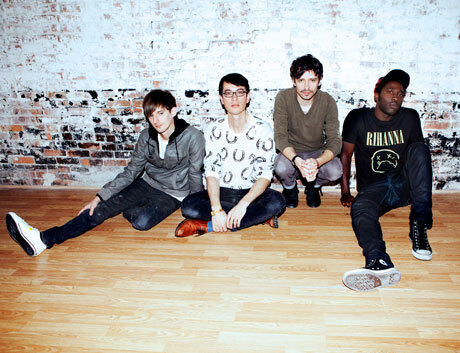 Post-punk pop troupe Bloc Party broke a hiatus with the release of last year's Four LP, and while they are reportedly working on new material, the band have announced another hiatus. Guitarist Russell Lissack told the National Post that they plan to take an extended break. "Definitely after we finish the festivals in the summer we'll be taking some time off. At least six months, maybe a year maybe two years, it's hard to say," he said. "Once we start taking time off people start doing their own thing. So once people start doing things then you'll start naturally extending how long we spend apart." He explained that while the band have improved their conflict resolution skills since the last time they threw in the towel, there are still numerous interpersonal problems plaguing the band and "extreme highs and extreme lows" on tour. Regardless, the band will release a new EP this summer. The band's final tour dates are available here. Bloc Party's Kele Okereke Teases New Solo Album with the Acoustic "Yemaya"